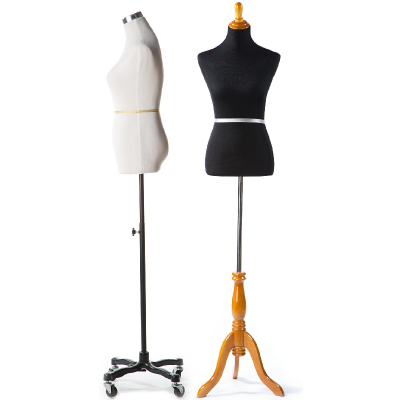 What is the difference between a dress form and a mannequin? 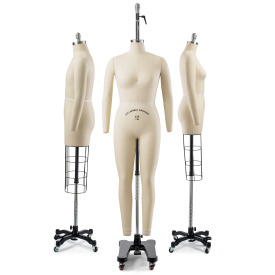 The dress form has a hard inner shell covered with foam and fabric to allow for pinning, while a mannequin has only harder outer shell (usually plastic or fiberglass). 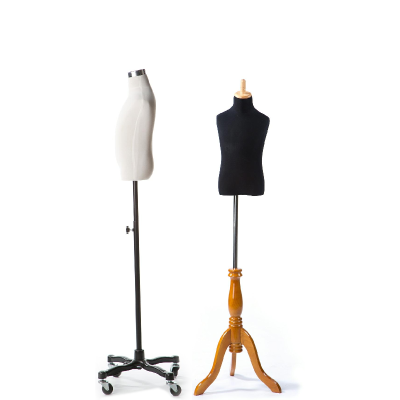 In addition, dressforms are usually just torsos while mannequins can be any body part. 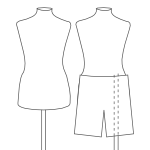 Both are commonly used in retail. 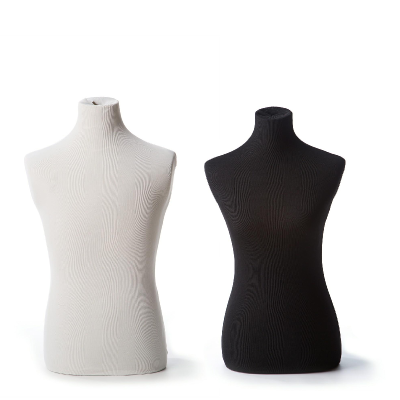 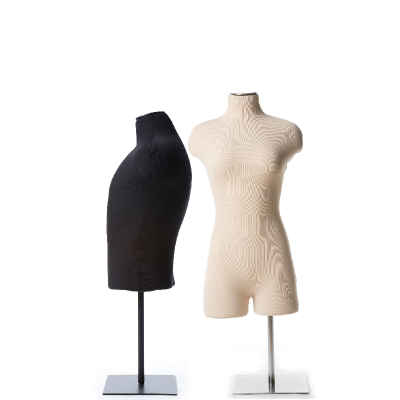 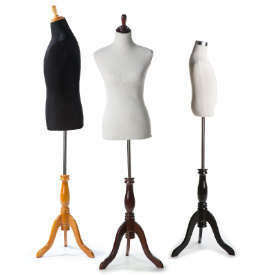 Click here to see our mannequin selection. 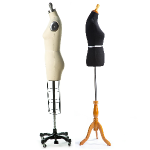 What is the difference between the standard dress forms and the professionals? 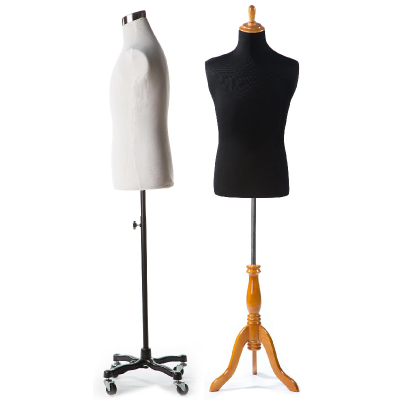 The standard dress form was created for its appearance while the professional dress form was created for its function. 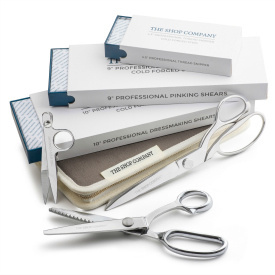 Both can be used for retail (though the standards are more common) and both can be used for sewing (though the professionals are more equipped). 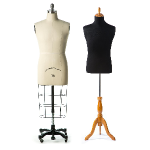 What does 'fully pinnable' and 'partially pinnable' mean? 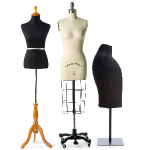 The foam and the fabric of our dressforms allow them all to be pinnable. 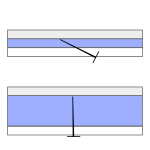 Partially pinnable body forms have a thinner layer of foam and the pins can be inserted at an angle, while fully pinnables have a thicker payer thus allowing the pin to be inserted directly. 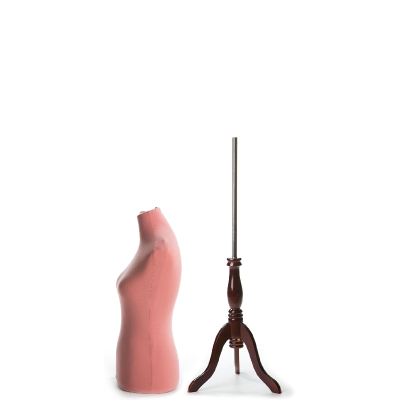 Many of our tabletops and professional are fully pinnable (all written up on their product pages). 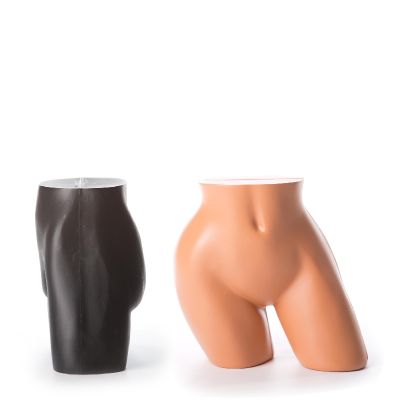 Can they be used to display pants as well?